The ever proactive YMCA which provides holistic support for young people, will host a creative fun day on June 16, 2018, to re-invigorate their presence in KwaMashu. 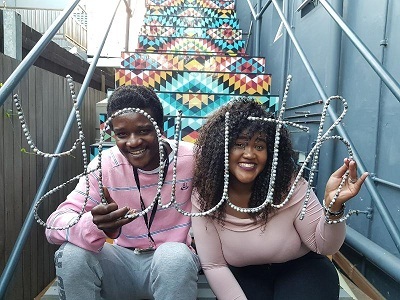 The KwaMashu YMCA has an active Arts club, “Y-Arts”, where volunteer Thabani Zwane helps to train interested locals in drama, writing, music and dance by running local after-school community classes. To showcase the work of these classes, a cultural day will be held at the KwaMashu YMCA from 10h00 until16h00. “We consciously wanted to change the perception of Youth Day in our area. It is just not a random holiday, but an opportunity to celebrate young people by using their creative talent as a means of developing the community,” explains Sanele Makhathini: KwaMashu YMCA, Y-Arts, and Local Action groups co-ordinator. “We want our community to learn how to celebrate June 16 in an appropriate way,” confirms Thabani Zwane, Y-Arts teacher. “So many people don’t celebrate June 16 in a good way, and forget what June 16 means. We want to help to change that,” he said. The YMCA strives to empower young people for life, leadership and service. The KwaMashu YMCA was historically very active in the PINK community (Phoenix, Inanda, Ntuzuma and KwaMashu areas) but is need of an injection of fresh energy, enthusiasm and new resource. Encouraging families from the PINK area to spend Youth Day enjoying the cultural talents of local youth will go a long way to rejuvenate and raising awareness about the valuable work of the YMCA. The KwaMashu YMCA facility has an active Y-Arts project, and also a Y-Zone – a multi-faceted programme aimed at providing after school–care programmes for school going children aged 6-18 in a safe environment where they are afforded an opportunity to grow in all areas of their lives. The KwaMashu YMCA is a subsidiary of Durban YMCA - a registered NPO and is affiliated to South Africa YMCA - part of an organisation with 45 million members in 125 countries around the world which offers student accommodation to UKZN during the academic year, and comfortable and affordable accommodation for visitors during the University vacations. The greater Durban YMCA serves over 5,000 young people with a variety of programmes aimed at improving their lives and equipping them for life, leadership and service. The KwaMashu creative fun showcase Youth Day event takes place at the KwaMashu YMCA on June 16, 2018, from 10h00 until 16h00. Entry is on a donation basis – minimum contribution is R5. For more information contact 031 305 4496 or visit www.dbnymca.org.za. Any community groups wishing to participate in the KwaMashu June 16 event should contact Thabani Zwane on 071 094 0890.